One of the things Apple likes to do is claim a spot at the top and build a throne there. Which is exactly what they did with their iPad family – dominated the tablet market as some of the best devices since 2010. But their dominance was threatened over the summer of this year with the release of the Nexus 7 – quite a powerhouse of a tablet for it’s 7” size armed with the Tegra 3 and priced at $199. And another threat on the horizon for the iPad is the much looked forward to Microsoft Surface with all its feature and accessory rich package. They had to come up with a counter-play and for a while there was a rumor of a smaller 7” iPad mini, it was finally announced that there would be a reveal of that nature at their 23rd October event. 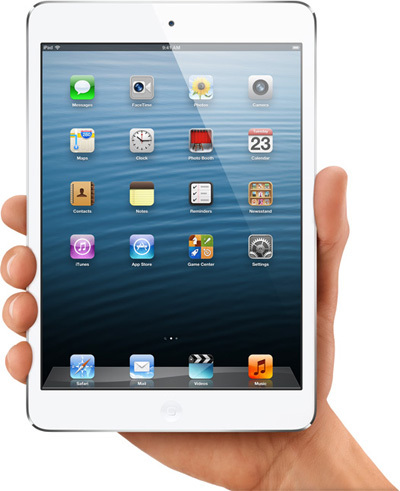 And reveal they did their latest in portable tech – the 7.9” iPad mini. Let’s get right down to numbers between the iPad mini and of course their main competition, the Nexus 7. 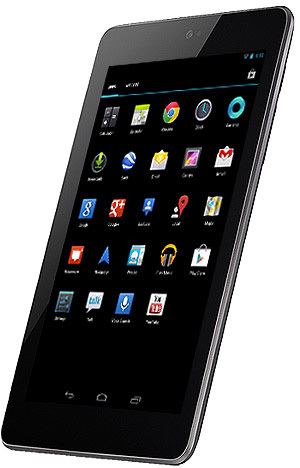 In terms of tech specifications there are many areas where the Nexus 7 wins by leaps. The mini has half the RAM of the Google device, and though it has a larger display, it does have an inferior resolution and pixels per inches (PPI). Even though the Nexus 7 doesn’t have a rear camera, you have to wonder who doesn’t carry a smartphone these days which usually lets you take superior pictures and isn’t as clumsy as a big 8” device. It’s definitely a good addition, however. Apple devices are typically known for their great battery life but the Nexus 7 is just as good in this case – the latter is tested to run for 10 hours on video playback. Connectivity is another aspect where things get a little edgy. A lot of consumers and developers believe that NFC will become very popular soon enough, and then again just as big a crowd would appreciate the LTE. There’s a but, though – the LTE version requires you to dish out $130; how many consumers would think that’s worth it? The Tegra 3 is arguably superior thanks to the great support by nVidia allowing playback of games like Horn (if you haven’t picked that up yet, do so! It’s great) and once developers start taking advantage of the dodecacore (12) nVidia graphics chipset we can expect some more awesome things in the Android playstore. And of course, when push comes to shove it always comes down to the price for the common user. No one expected the iPad mini to really be priced at less than $300. It’s Apple. More often than not when one buys an Apple product, it’s because it’s an Apple product, and consumers pay for that brand image, as is the case with so many other great brands – Adidas, Nike, etc. With the iPad mini priced at $329 and the Nexus 7 at $199, people will have a hard time opting for the former unless they have preconceived notions or fondness for the device/manufactuer. And there’s the added $130 for a whopping $459 for an LTE version for those who likes that sort of thing. Now that we’ve beat around the bush, let’s get right down to the nitty gritty truth of the matter. There are a few categories of consumers. There are those who love Apple, and will definitely buy the mini as opposed to the Nexus 7. And then there are those that do not have the same feelings and will opt for the much cheaper Nexus 7 (keep in mind that Google had decided to sell at a loss to capture the market as late comers). And then there are those, the not so tech-savvy – what about them? It’s hard to see those common users paying more than what they would have to have a portable computer, unless they have friends or family who swerves them towards a particular direction. I believe Samsung made a similar argument in their defense case against Apple – The people who will buy the new iPad are the same people who would have bought the previous iPads or other Apple products. Nexus 7 is my favorite. But they added up additional $125 to its price because of importing in India. Nexus 7 is a great device, but no doubt many people love the iPad mini too! And that’s rather unfortunate – I would imagine Asus having a storeroom in India, though.